It is so simple that it may have never crossed your mind or it may have and you totally ignored it. What you are reading right now could be the one thought that will change your life forever. 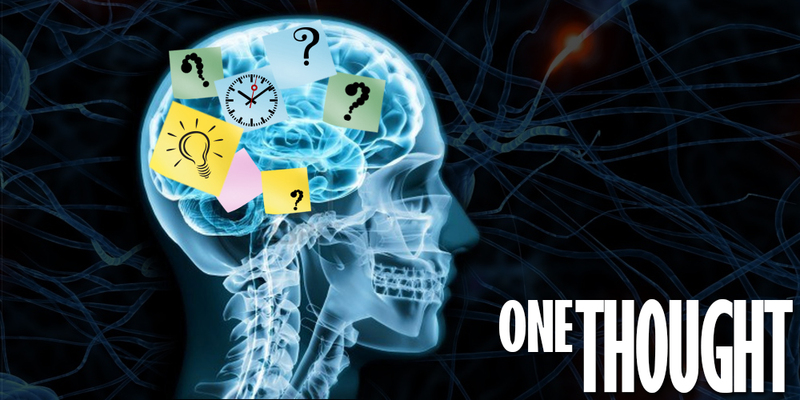 I am talking about ONE THOUGHT, ONE IDEA. Do you realize everything you do is decided by one thought? What you eat, what you wear, where you go, etc. There is so much power in one thought. One thought got you to read this. We have millions of thoughts flying around in our minds but most of us are too busy, even when we are not, to even consider that one of those thoughts can change your entire life. I am writing this thinking my one thought will spark the one thought that changes you forever. Today, as with every 1st day of a new year, is when the most focused thinking of the year happens. Most people are thinking about what they are going to do to change their lives today aka “new year resolutions”. A high percentage will stop thinking about those by the next day. However I am not talking resolutions here. I am saying take one idea and take one step beyond your mind towards making it happen. Something extremely simple but you never know where it could lead and you will never know if you don’t move on it. What if you knew the idea you have would make you a millionaire, would you move on it then? So why not find out? What do you have to lose. What I mean is you haven’t done anything with your idea, so you already know what it is like if the idea doesn’t work because you are there right now. So do you think you are up to the idea of thinking on purpose? Do one thing different starting right now. One thought, go for it!